It is disgusting to see pests and cockroaches crawling on the kitchen cabinets and dining areas while preparing and having food. Using harmful chemicals and pesticides may pollute the air in the surroundings and contaminate even the underground water. If you have children in the house, inhaling these chemical filled pesticides would even prone those to different types of cancers says, recent studies. It is a wise decision to use natural ways offered by Surekill Pest Control to get rid of pests. The article is all about effective natural and in-house methods to get rids of pests. This is a natural mineral that can be refined to create a pesticide. However, you should be careful because inhaling this acid may cause gentle irritation. You can spray this boric acid in the pests crawling areas. You should sprinkle acid in the areas where it is easily ingested by pests. Application of the acid in the right way will reduce the population of pests like ants, cockroaches, fleas and even bed bugs. When you are applying this natural remedy to get rid of pests in the home, make sure you keep it away from the dust and reach of small children. You should also avoid self-inhaling. This is one of the best natural remedies to get rid of pests in the home. This remedy is free from any adverse effects and works wonders when used effectively. It can effectively destroy cent tracks and trails left behind household pests. This distracts the attention of pests like ants with the destruction of the scent trails. Using vinegar as a natural remedy to get rid of the pests can banish fruit flies. A simple natural way to do this is to fill the empty jar with 3 quarters of vinegar along with five to six drops of dish detergent and the rest with water. Fruit flies will stick to the jar and drown in the liquid in no time. Going organic is another natural way to get rid of pests in the home. You can fight the population of pests plants trees and fruits and other items that are hated by the pest. Natural ingredients like tea tree oil will repel many pests. Flies hate mint. Dust mites can be effectively handled with cinnamon. Spiders will be annoyed with lime. Growing anti repellent herbs is another natural and effective ways to get rid of some kind of herbs naturally. Pests like ants dislike order of some kind of herbs like mint. 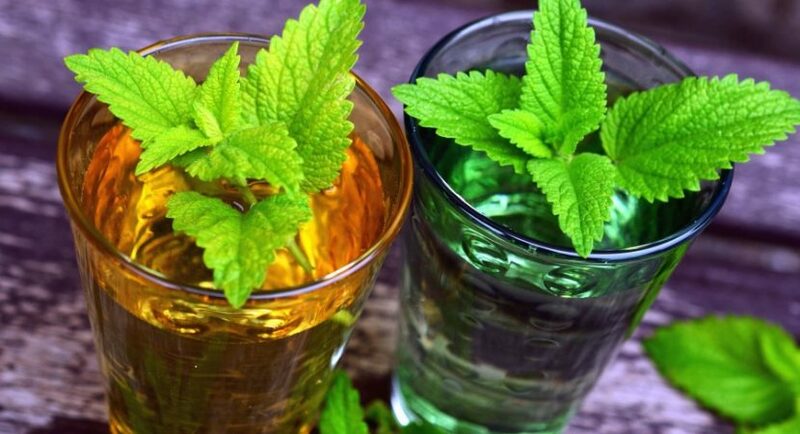 Try growing herbs like mint in the pots or place a dry bunch of herbs like rue, pennyroyal near trouble spots. You can also try wiping the problematic areas with oils of cloves or eucalyptus oil for effective results. To discourage cockroaches from roaming in the house around, save the ends of cucumber and place them in the cupboards. This is a fascinating way to kill pests in the house without toxic effects. Diatomaceous of the earth is made with the remains of diatoms and the result is silica dust. Exoskeletons of insects are dried to make this silica dust. This foiled dust works wonders in killing pests like ants, bedbugs, roaches, fleas, and spiders. Many house owners have experienced effective results by sprinkling the dust in the problem areas. This is most effective natural and safe way to get rid of pests in the house. However, be careful not to inhale this dust while you sprinkle as it can irritate your nasal passage and hurt your eyes when it gets into it.